When patients select an IVF clinic, most go online to get more information about the clinic, so that they can make a well-informed decision. They check out the website of the clinic, because this provides lots of useful information; and they also check out reviews about the doctor. Patient reviews - what other patients have to say about the doctor , can be extremely helpful when you are searching for the right doctor . 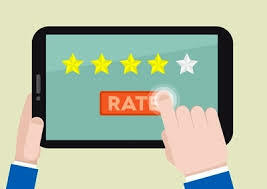 In fact we use customer reviews all the time for lots of stuff - for example, when buying a book on amazon; or selecting a restaurant on zomato. The trouble is that reviewing a doctor is very different from reviewing a book, and you need to be very careful when you analyse reviews about doctors. You need to look at lots of reviews on different sites in order to get a fair opinion. This is why you need to take reviews with a pinch of salt, and just because one patient has had a bad experience doesn't necessarily mean that doctor is bad. Similarly, you should worry a little bit about a doctor who seems to have all positive, glowing reviews. As we all know, it's possible to game reviews, and lots of doctors do this, because they know positive reviews can be very important in attracting patients. Thus, if there are lots of reviews which are written on the same date , or many of the reviews seem to be very similar to one another, you should be careful. Of course, there are very sophisticated clinics which use PR agencies to write false reviews for them. This is an extremely clever ploy , which some IVF doctors use in order to get lots of positive ratings, and it can be very hard for the average patient to know how authentic or reliable some of these ratings are. This is why you should use ratings as an additional tool in your armamentarium when you're selecting a doctor, but don't get mislead by these ratings. As with everything else, they have pros and cons, and smart patients learn how to evaluate them critically. Finally, do contribute your feedback as well, especially if you are happy with your doctor, in order to make these ratings more accurate and reliable. This will help other infertile patients to find the right IVF doctor !